Superior, Colo., January 18, 2018 - The Billiard Congress of America is pleased to open the nomination process for the 4th annual Atlantic Challenge Cup, taking place July 7-9, 2018 at the New Orleans Convention Center (just prior to the 2018 BCA Expo and BEF Junior Nationals). To purchase the new rule book please visit our online store, or any of our retail members. 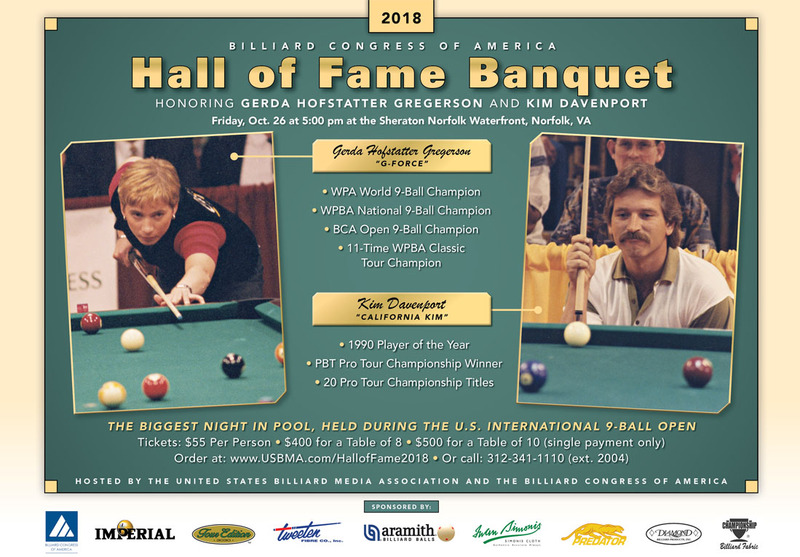 Broomfield, Colo., May 1, 2013 - The Billiard Congress of America is proud to announce the details of its new consumer/player membership program, GenerationPool. GenerationPool is a FREE player membership program specifically designed with the player in mind. [more] Click here to join GenerationPool. Broomfield, Colo. – December 17, 2012 - The Billiard Congress of America is please to announce the top three American Players for 2012: Shane Van Boening, Mike Dechaine, and Brandon Shuff. Van Boening ended the 2012 BCA Points Events Calendar ranked first, capping the year off by claiming his second US Open 9-Ball Championship. 2018 BCA Hall of Fame Banquet Tickets on Sale Now! The BCA Pool League is operated by CueSports International (CSI), not by the Billiard Congress of America. If you wish to contact the BCA Pool League, please click on this link: PlayCSIpool.com. Information on additional pool leagues can be found on the BCA Member League Information page.